The Coast Guard says an early-morning paddleboat accident near Burien claimed the life of man. 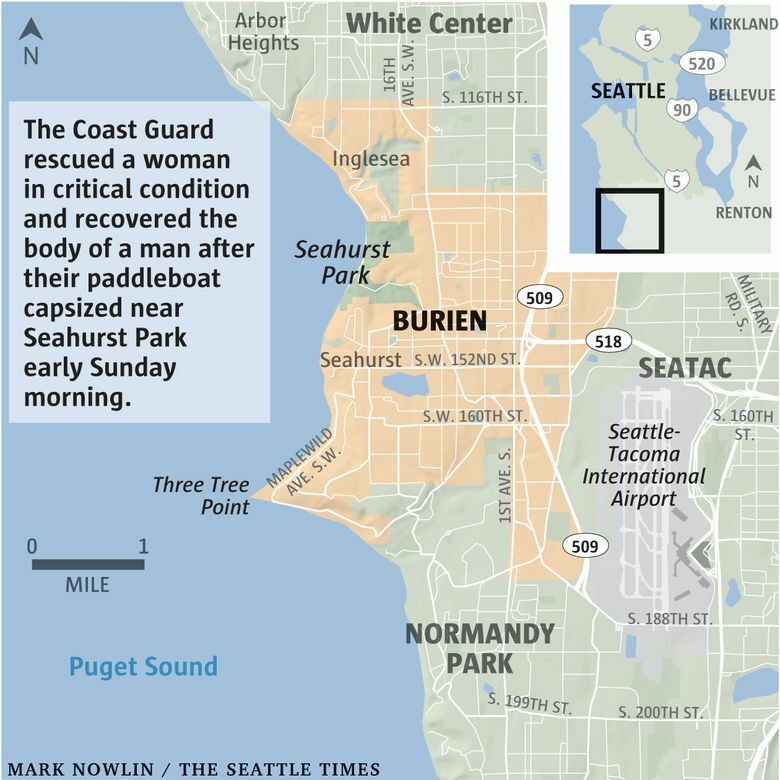 SEATTLE (AP) — The Coast Guard says a man has died and a woman is in critical condition after their paddleboat capsized in Puget Sound just south of Seattle. The man was taken by helicopter to Boeing airfield where local paramedics pronounced him dead around 5:30 a.m. Sunday. Crews found the woman unresponsive in the water. She was taken to Harborview Medical Center in Seattle. The Coast Guard says it received a call just before 3 a.m. Sunday about two people aboard a 15-foot paddleboat potentially hit by bad weather off Burien, south of Seattle. Coast Guard crews were able to talk to them by cellphone and reported hearing a loud scream before losing the connection. Crews found the capsized vessel near Seahurst Park.